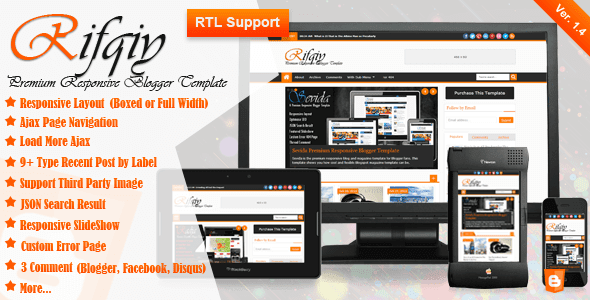 This Premium Blogger Template Rifqiy a Blogger theme with responsive layout. This Blogger Template has a design that is perfect for magazine or portofolio websites With an attractive color combination and impressed professionals and has many features. 0 Response to "Rifqiy v1.35 Responsive Magazine/News Blogger Template"